During the Rotary Club of Chestermere's Amazing Race 2014, ShelterBox was on display at John Peake Park, and everyone used the impressive water filter to remove a bit of dirt and some soda-pop from water (we told everyone it was lake water rather than cola mixed with water, which was fun). Personally, that was my first direct experience with ShelterBox. We were compelled to support their cause. 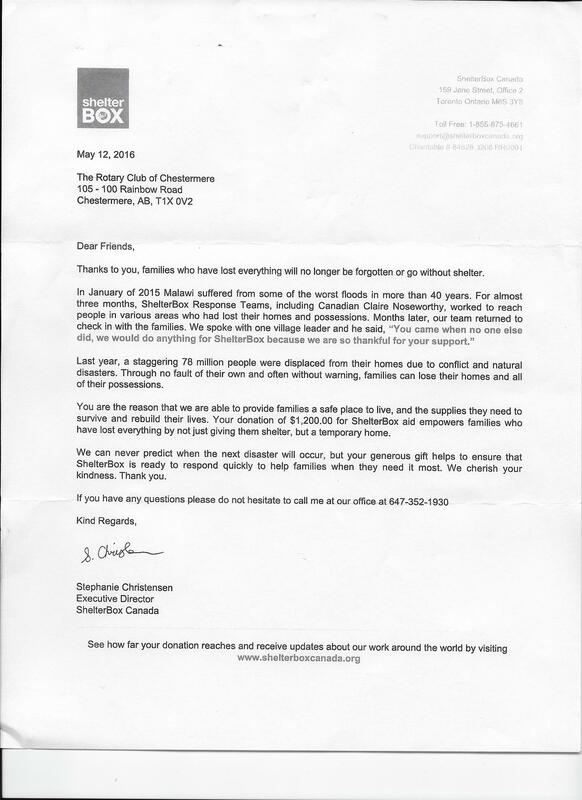 After looking into it, we found it to be a very well-run organization that serves a very worthy cause. So, we did it. We found out about the level of financial support they request. Each shelter (which includes some basic supplies for survival) costs about $1,200, which is amazingly inexpensive, all things considered. We committed to providing shelter for one displaced family every year. We feel pretty good about it, and everyone who runs the Amazing Race can feel pretty good about it too. Honest to goodness, everyone involved is contributing to a program that actually saves innocent lives on a regular basis. 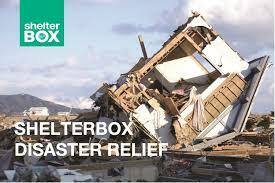 Find out more about Rotary International's partnership with ShelterBox. And, if you'd like to be involved more prominently, don't be shy! We're here to help each other help everybody. It's just another way to show how Rotary Serves Humanity.